How would you like to sample the Virginia wine region all in one day ? Sounds impossible right ? Not so, Vintage Virginia Wine festival unlocks the door to make it all possible. With over 50 of Virginia's top wineries, numerous local food and craft vendors, and great live music, for me the Vintage Virginia Wine Festival is a must attend event. When we attended last year, there was so much to this event that you're tempted to go both days to ingest it all. There were informational seminars, crafts, art, massage specialist, unique gifts, all sorts of local food vendors, things to keep the kids busy, things to keep the parents busy, and it really gives you a chance to sample Virginia in a way you would not have otherwise experienced it. One warning for you ice cream lovers, look for the food booth that sells old fashioned homemade ice cream; the taste will blow you away ! Be sure to get it while it lasts, because it is delicious and will likely sell out fast if history repeats. The name escapes me, but the something CRUNCH flavor was awesome. 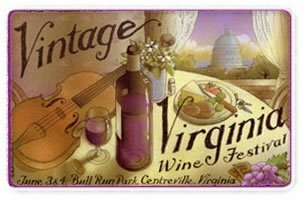 The Vintage Virginia Wine Festival is June 3rd and 4th from 11am to 6pm, at Bull Run Park in Centerville, Virginia. With over 50 wineries do not feel shy about using the spit bucket, safety and responsibility should be practiced. 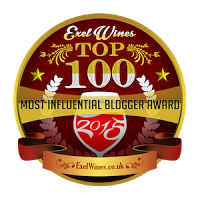 Have a great time, in getting to know your local wine producers.